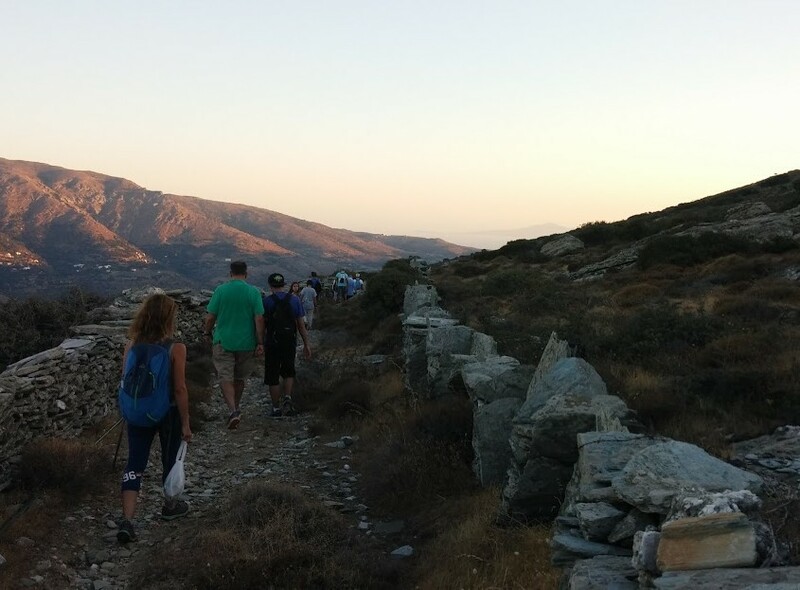 At our 14th Hike to maintain from Apoikia – Evrouses – Strapourgies! 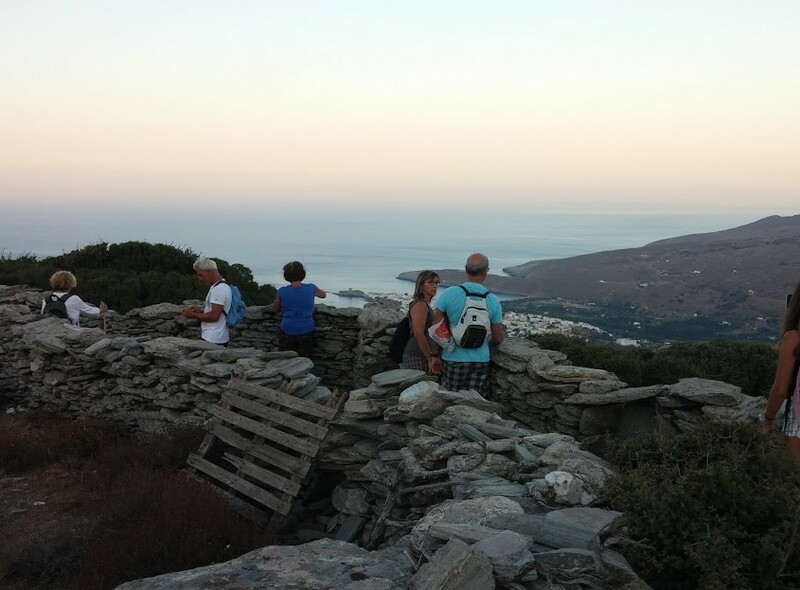 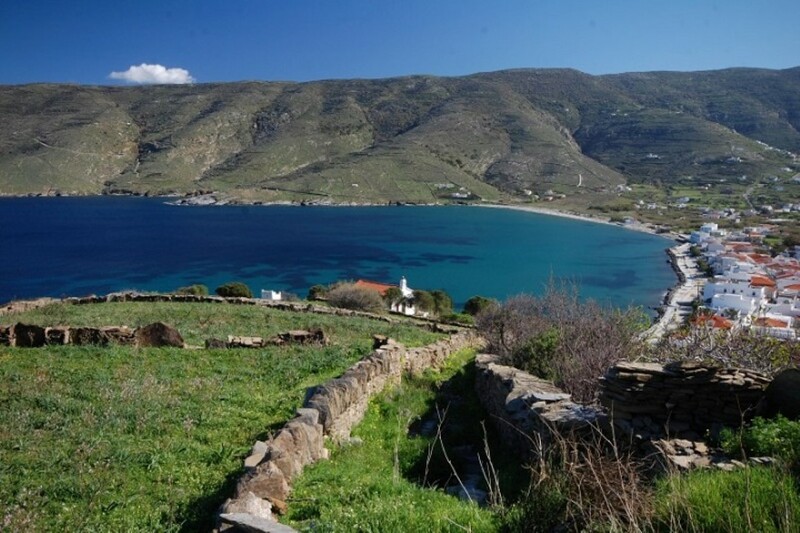 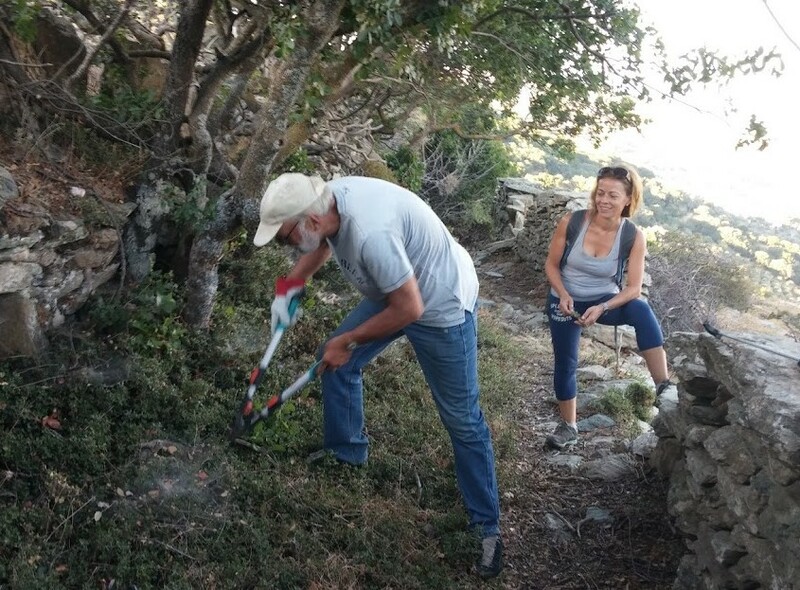 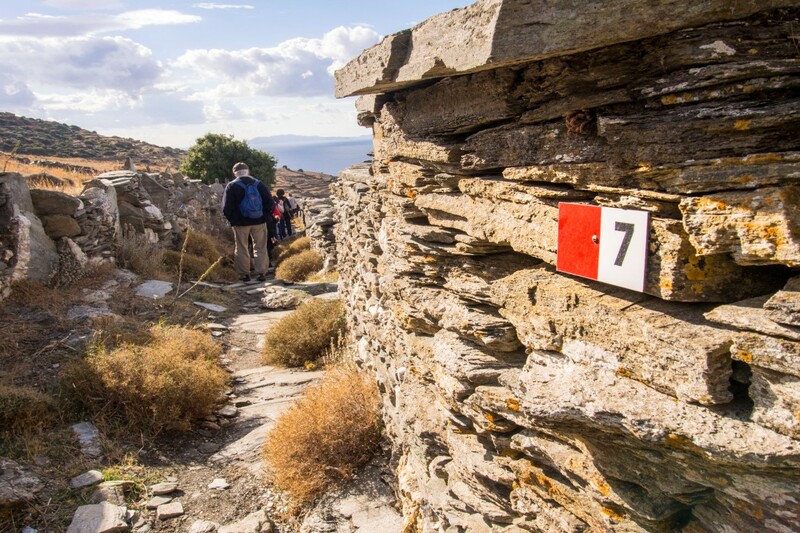 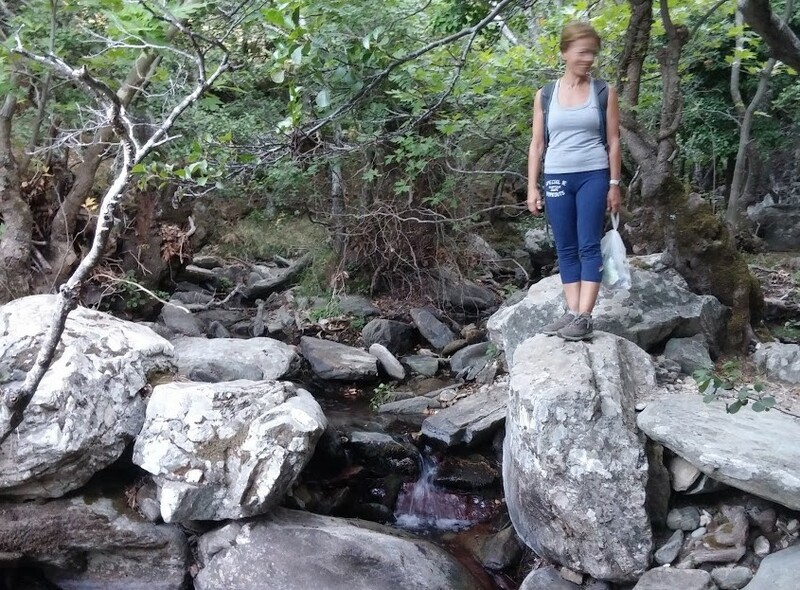 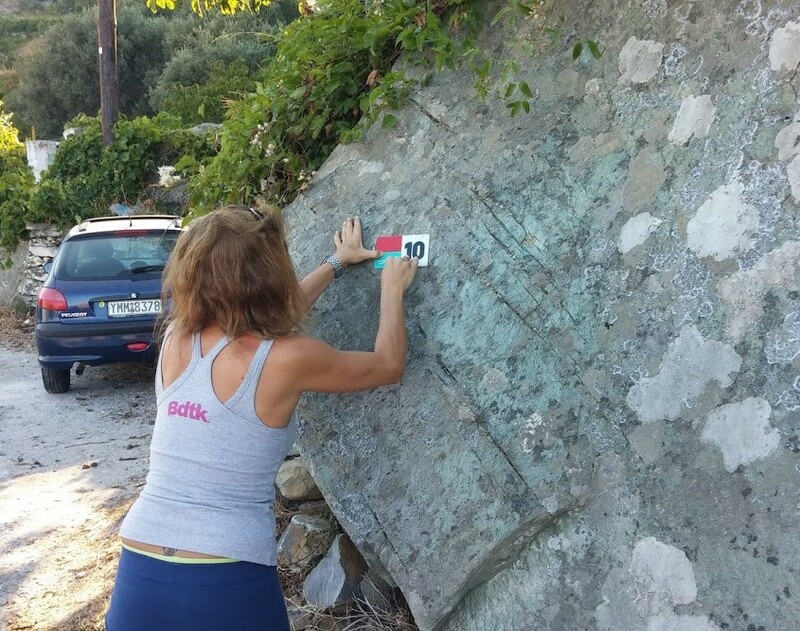 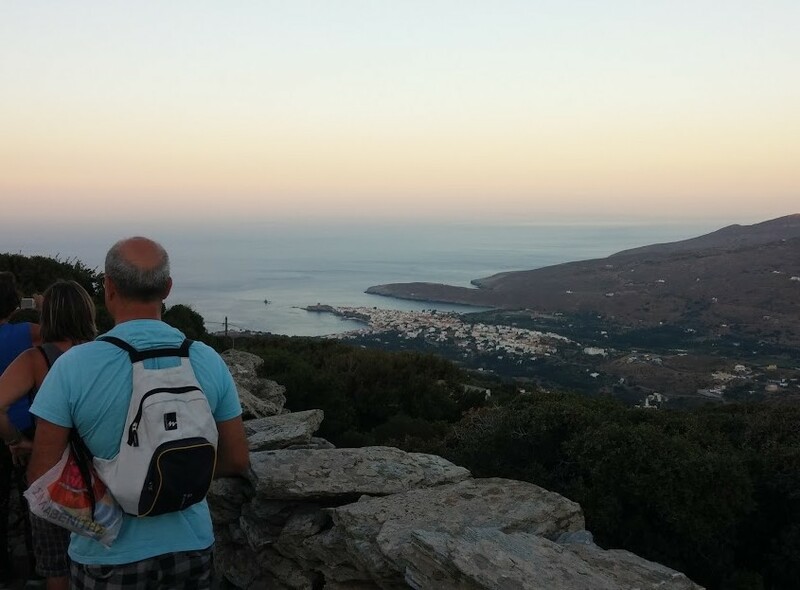 15 (fifteen) people have participated at our 14th Hike 2015-16 to maintain the paths of Andros in the area of Apoikia. 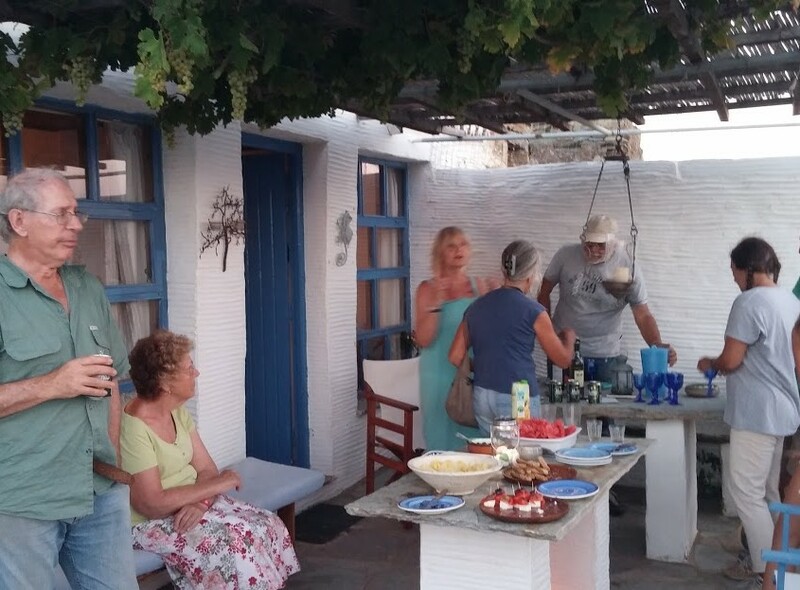 We have gathered from different parts of the island (Aprovatou, Batsi, Gavrio, Syneti, Chora, Mesathouri Katakalaiei) and met at the square of Apoikia. 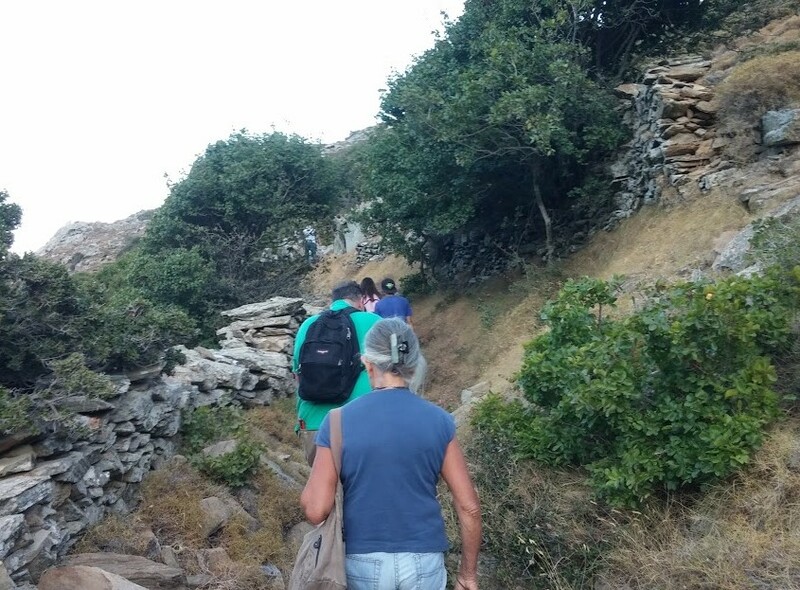 After introducing to each other we started our hike going up to Trikoli in order to enter the old “steni”. 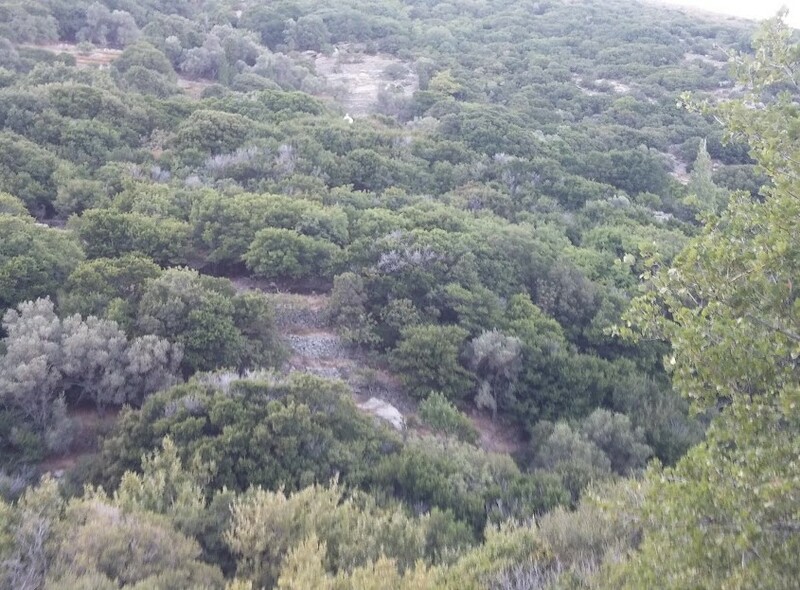 The specific wooded trail but also the summer evening offered us another enjoyable hike of maintenance. 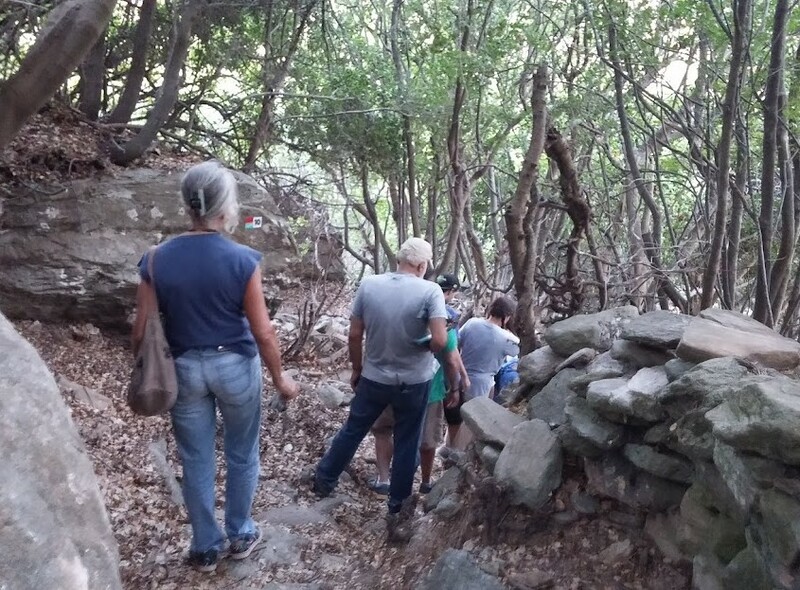 After going uphill in the slopes of Petalos passing through several ravines we went downhill towards the wooded area of Evrouses and after a small stop in the church of St Giannis Theologos we passed through the bed of the ravine with low stream due to the season. 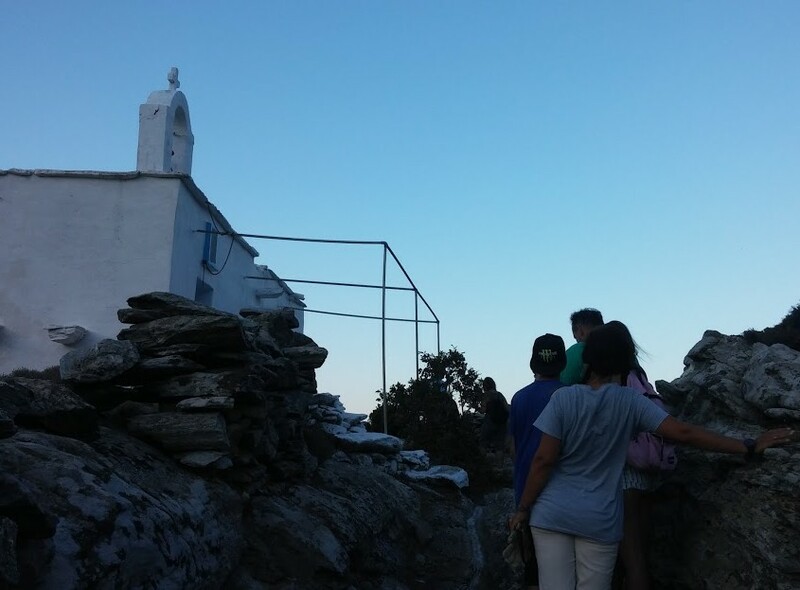 We climbed to the Taxiarxos Gavriil and after a small stop we continued to Strapourgies enjoying beautiful views of Chora and Stavropeda. 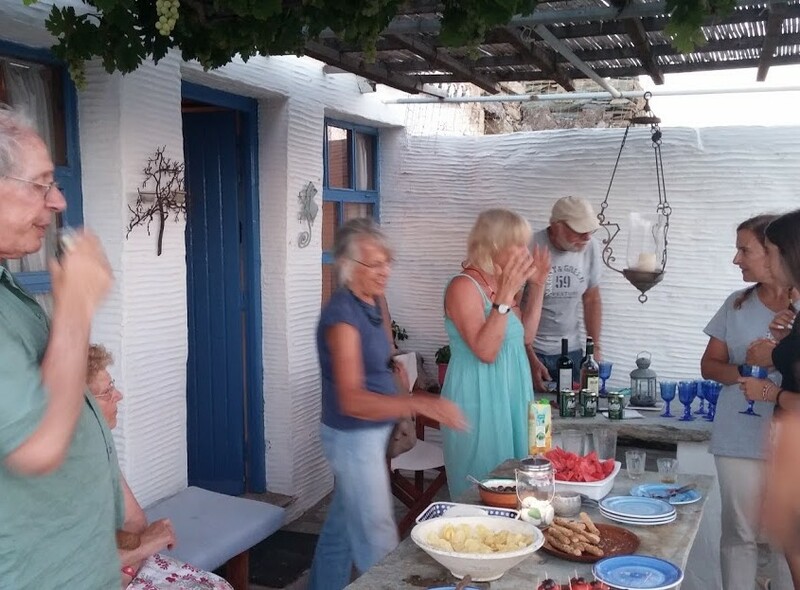 In the village we had a nice surprise – treat by our British friends, Kathy and Reify who live there during Summer time, fruits, local cheese, olives, sweets, wine, beer and raki! 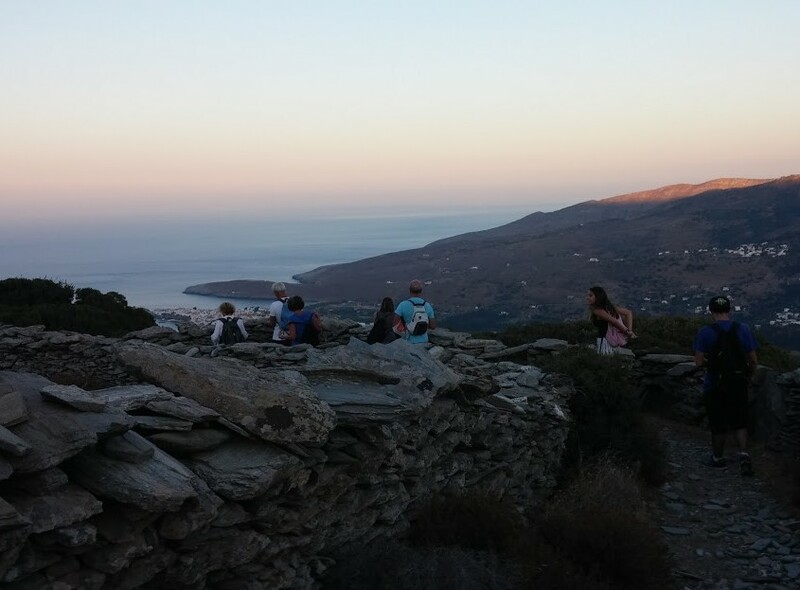 After enjoying refreshing drinks and treats we went downhill to the central road of Strapourgies and our hike was completed. 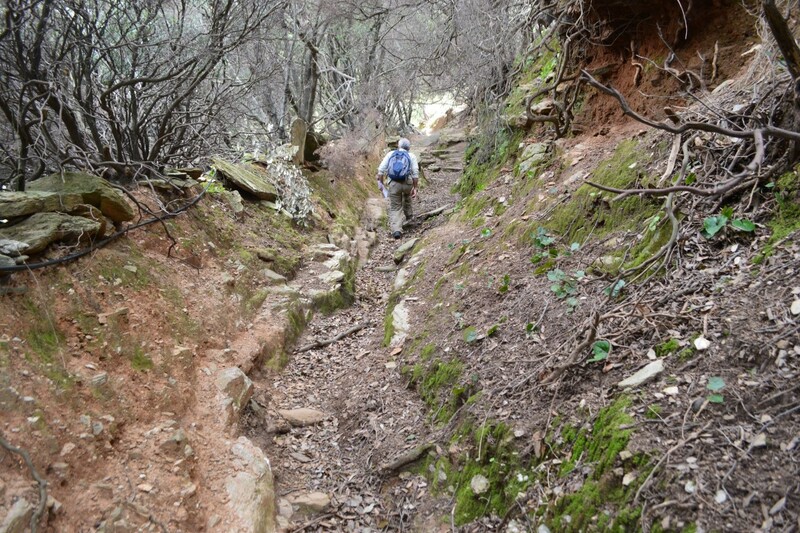 The trail after the spring maintenance was in good shape except specific spots. 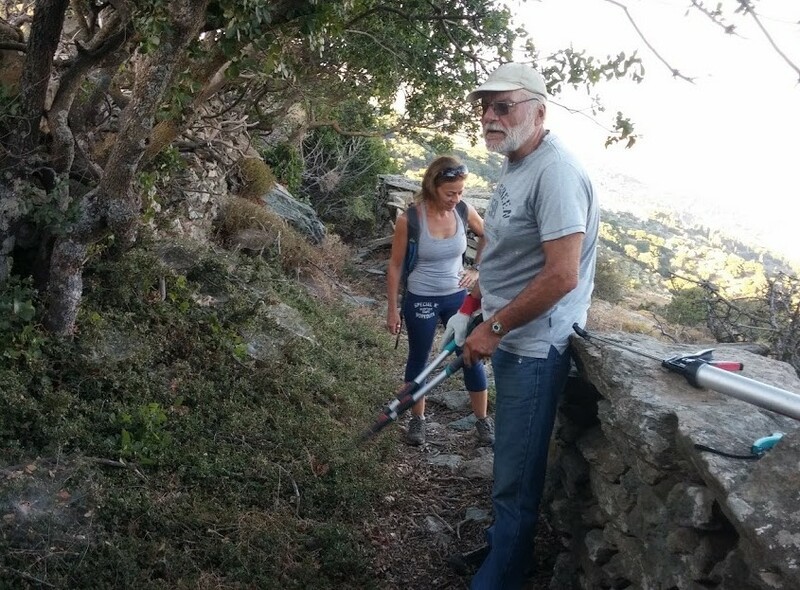 During our hike we have mostly cleared overgrown vegetation at the sides of the path, added some way marks and pictograms and we have gathered some garbage. 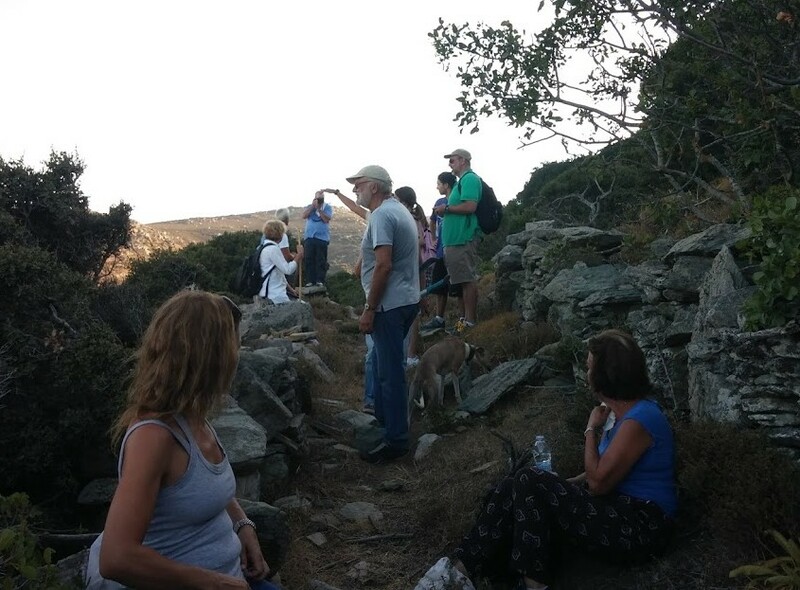 We wish to thank the great company and hope that the weather will soon allow us a new hike! 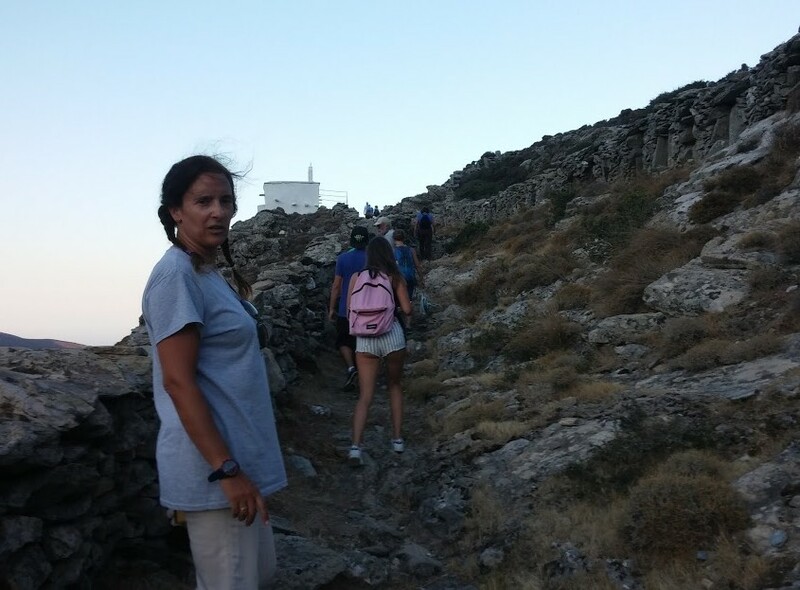 11/8/2016 at 17:30 14th maintenance hike from Apikia to Evrouses – Strapouries... 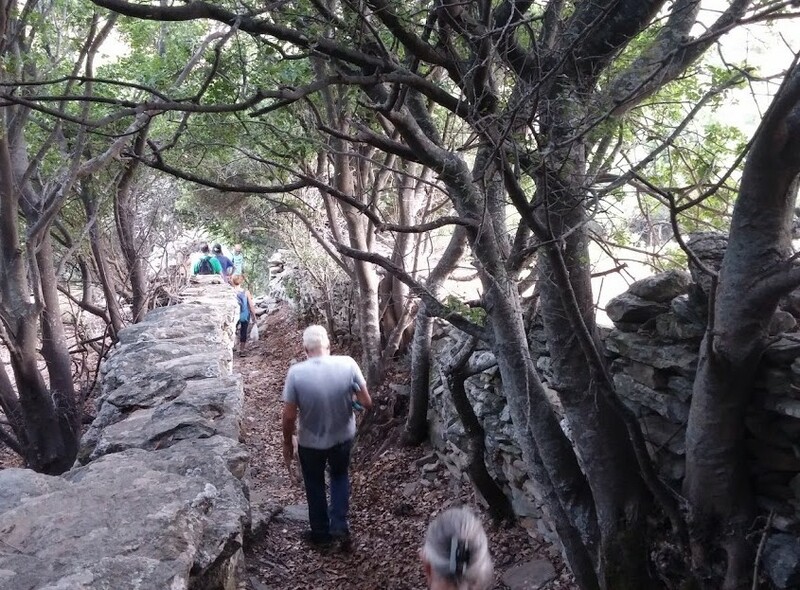 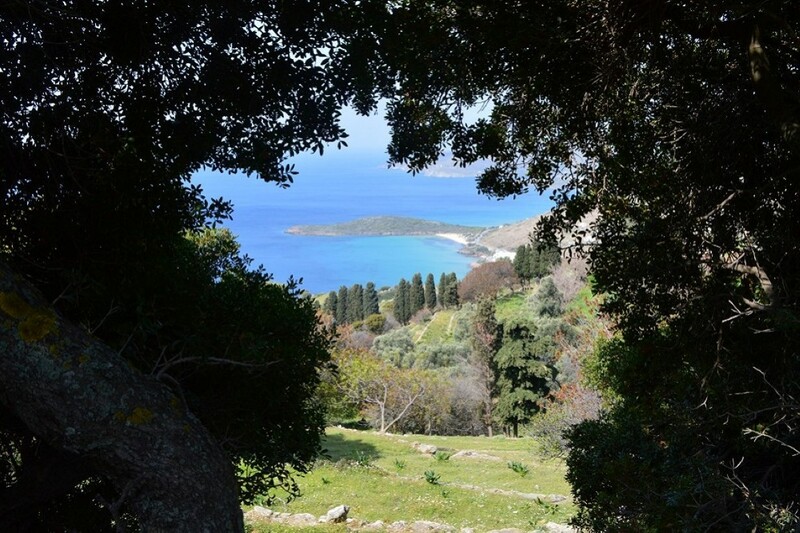 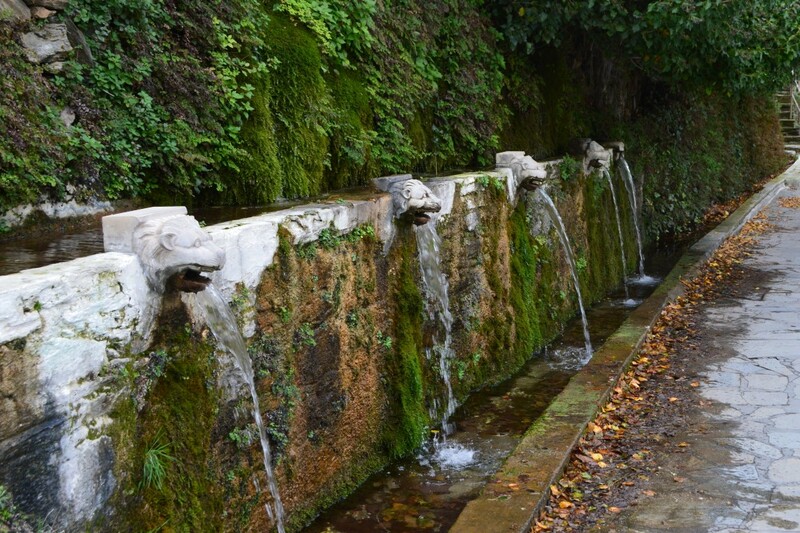 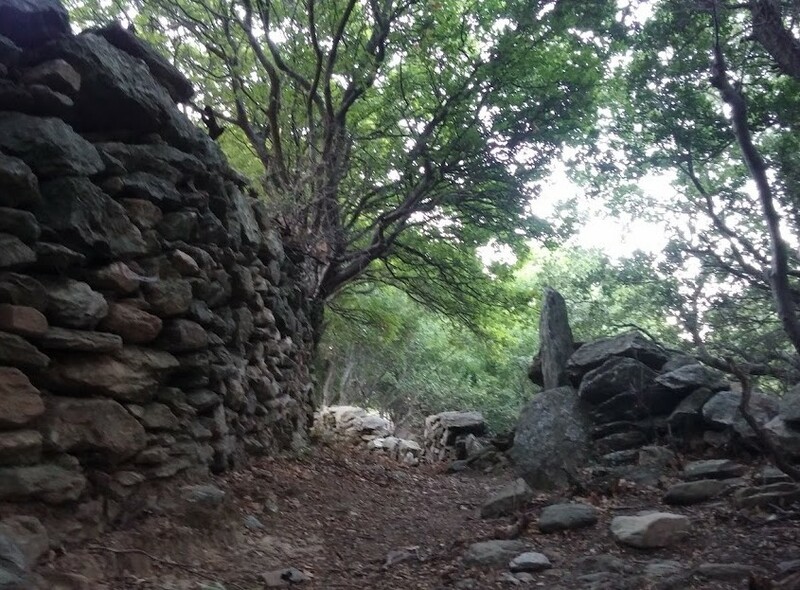 Discover the wonderful hidden Katakoilo!… : New small walking paths!